View the recorded training on-demand via WEBCAST on your device at a place and time convenient to you. You will be emailed the access information within 1 business day of registering. The training covers drafting simple wills, advance medical directives, financial statutory Powers of Attorney, and ethical considerations. 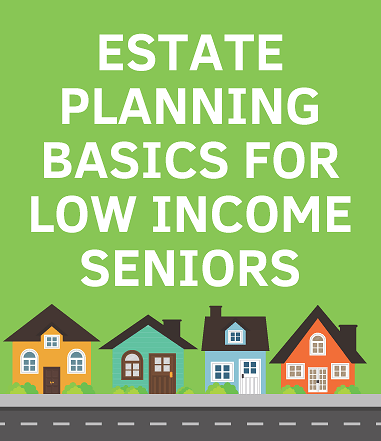 Attorneys must agree to prepare two estate plans pro bono within 1 year of registering. 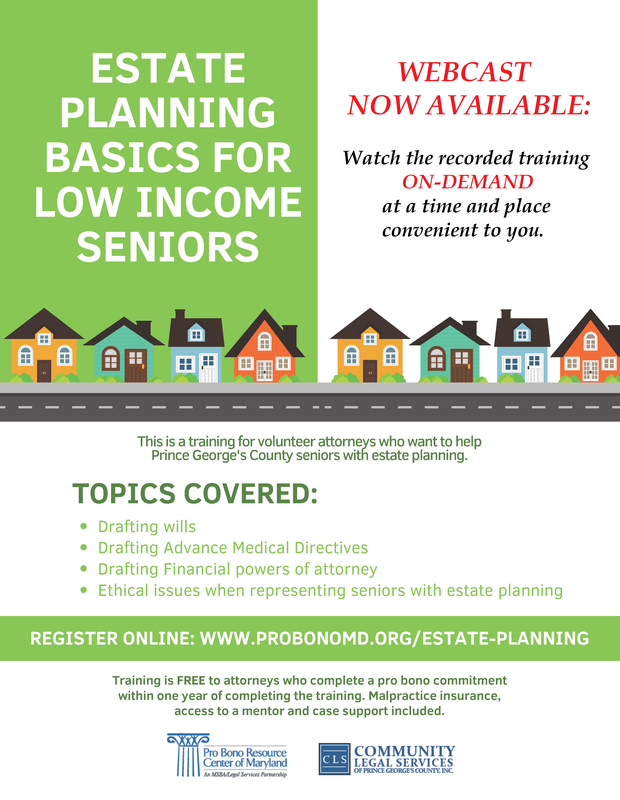 Volunteers may fulfill this commitment at Home Preservation Project’s Estate Planning Clinics in Baltimore City and Prince George’s County, OR at the Montgomery County Elder Law Day, taking place on Monday, April 15, 2019 from 10:00am to 2:30pm at the Margaret Schweinhaut Senior Center, 1000 Forest Glen Rd, Silver Spring, MD 20901 (indicate interest on registration form). Attorneys will receive malpractice insurance, mentoring, and conference room use for their pro bono cases.